Chadwick Boseman attends the 90th Annual Academy Awards. The cast of Marvel’s Black Panther has been touring the world for months promoting their movie in interviews and red carpets where they’re inevitably asked to do the iconic “Wakanda Forever” salute. While there’s a lot to discuss about Black Panther, the one question that virtually everyone involved in the movie has been asked at some point isn’t about the film’s plot at all—it’s a request to do the salute. And honestly, it’s about time that we let those poor people do whatever the hell they want to do with their arms. Doing the press circuit is one of the most grueling parts of actors’ jobs when they’re a part of film that’s a global phenomenon because we expect them to maintain a consistent level of excitement while answering the same general set of questions over and over again. With Black Panther now out for home release and Avengers: Infinity War in theaters, things haven’t calmed down for the actors at all. 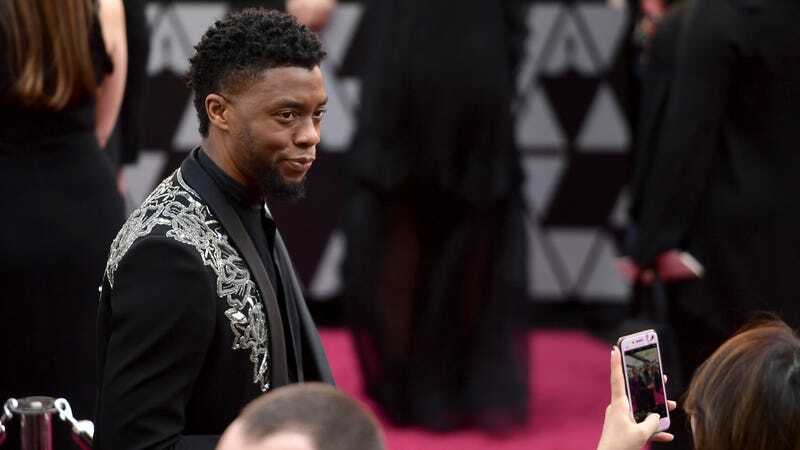 Over the weekend, Chadwick Boseman gave a commencement address at his alma mater Howard University and yes, he gladly did the salute, but anyone who watched the speech could see that on some level, the actor was lowkey over it. Not the school, not the speech—the gesture. If you’ve seen those photos of Boseman smiling gamely for the cameras with ecstatic fans as they all pledge their support for the fictional African nation, then you’ve also seen the photos in where he’s clearly, kinda bored (and rightfully so). How would you feel if every time you left your house to go to the grocery store, no fewer than 50 people stopped you and wanted you to do the same thing you’d been doing for weeks on end? What’s impressive about Boseman and the rest of the cast’s resolve is that their Wakanda Forever fatigue is only now just beginning to show three months after Black Panther’s release. Though, Michael B. Jordan jokingly pushed back against a request for the salute back in February while giving an interview semi-in character. Look, we all love Wakanda and the actors who helped realize it on screen in such a fantastic way, but we’ve had our fun and if you’ve seen Infinity War, you’ll understand why now’s really a time to mourn for Wakanda’s losses. 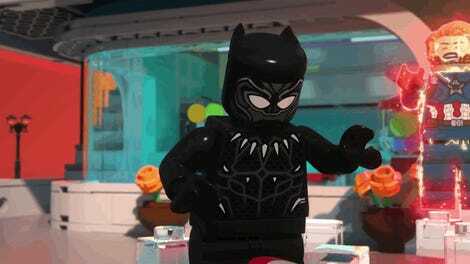 So, if you should happen to cross paths with any of the Black Panther cast, consider asking for a handshake or maybe just give a knowing, respectful nod.